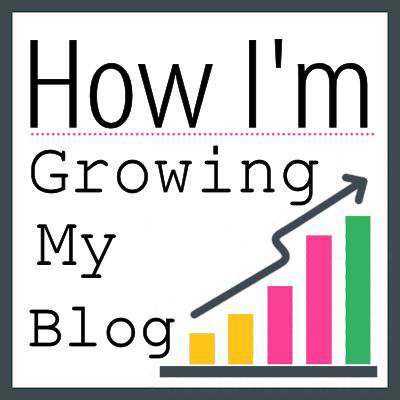 I hope sharing my experiences, good and bad as a blogger, will make a difference in growing your blog in the future. You will find past blogging posts on my Pinterest blogging board for future reference. Your blog is growing, you are starting to bring in some income and paying the expenses of your blog. Whats next? The word taxes just makes me cringe and not my favorite time of the year. Since I have a business and we like to itemize, we really have to keep our records straight. One thing I have learned over the past years is what you have to claim on your yearly 1040 if you blog. If you plan on making or already are making money on your blog, its considered a business. Since the IRS expects you to make a profit when you start a business (blogs are businesses), you are allowed to take advantage of tax deductions for legitimate profits & losses incurred in the operation of your business and also home in the office. You can read in more detail about this at the Turbo Tax website. By the way, I have been using Turbo Tax for Home & Business for so many years now and it really helps walk you through filing. I also use Quicken for Home & Business to download my checking account statements, credit card statements and I can keep up with deductions so much easier by categorizing my expenses and income. Any expense that I have to my blog. Example: I needed a new printer which I print out all kinds of stuff for my blog, which is a deduction. Just keep the receipt for your records. Keep all your receipts because you do have to prove you bought that item. If you buy anything online, don’t forget to print your receipt for that item. 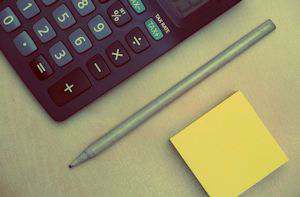 Deductions work against your Income you make on your blog and the smaller your income, the less Estimated Taxes and Self-Employment Taxes you have to pay each year. The IRS allows you to show more deductions than income for three years, but then decides that you have a hobby rather than a business. There are many other deductions, but I just hit a few. I have read many different topics on what is considered income for a blog and here is what I gather you claim as income. All review items, blog conference sponsorship’s, ad purchases and generally anything you are given that has value. From the IRS – You have to file an income tax return if your net earnings from self-employment were $400 or more. If your net earnings from self-employment were less than $400, you still have to file an income tax return if you meet any other filing requirement listed in the Form 1040 instructions. Office in the home is such a great deduction when you itemize your taxes. We personally have one room which is specifically for our office. It has a closet to store all our office and blogging supplies. The law is clear about having a specified area defined as your office to allow for deductions. Direct expenses – Any expense directly used in your office. Ex: Painting your office, new flooring, office furniture, office equipment & supplies, etc. Indirect expenses – Expenses used to maintain your home. Since you are using a percentage of your home for an office, a percentage of your home expenses are allowed. Ex: Utilities, homeowners insurance, general repairs and maintenance, interest and property taxes, rent you pay for your home, depreciation, etc. It is so important to keep very detailed records and receipts for deductions for your blog business and office in the home. Every receipt I receive, whether it’s doing a DIY project, going on a trip I will blog about(meals, lodging, gas, mileage), buying ingredients for a recipe, etc. I keep them in my closet using this filing system by using one shelf for expenses and one shelf for income receipts. 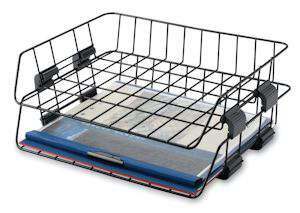 Depending on the space you have in your office, you could use this or this type of filing system. If you need filing space plus a space for some office equipment, try this option. After doing this for a few years and knowing what I have to keep and not keep, it does get better and you realize its just part of your everyday blogging life. 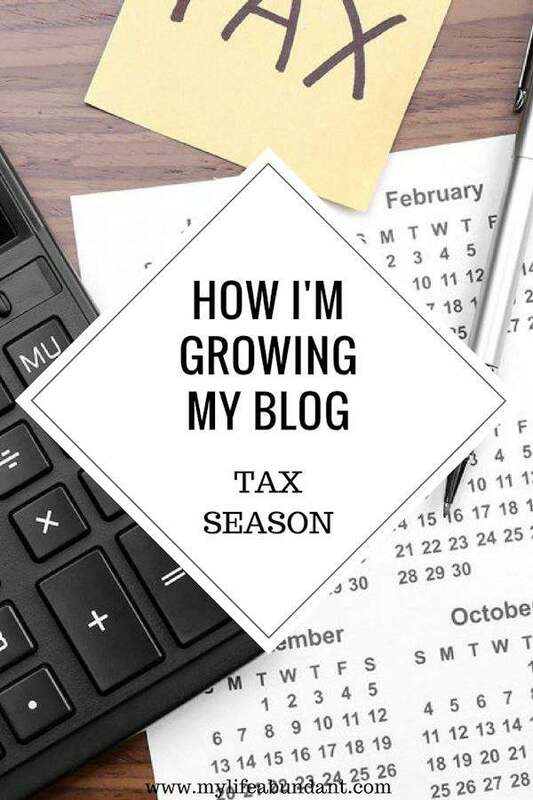 Here is a great article by Blogging Basics 101 on blogging and taxes. I’m not an expert on this topic, so you should consult a tax professional or filing service. My advice above is from my experience filing taxes for my blog. If you have any questions about any of the items discussed, please ask them. This is great information!! So important to track expenses and income often as well as what you owe for taxes. This is extremely informative! This year was one of the first years I have had to use a CPA because I was not sure how to do the taxes. This would’ve helped a whole lot. Hi Tammy – what an informative post – I’m so glad I found your blog! This is a great list to know about keep everything you need for taxes. Nice that this came early in the year so we know what to do. I don’t know what happened to my comment there, but can you please delete the prior one! This information will really help me out this tax season as I’m getting my things together! Taxes have gotten so much more complicated since I started blogging. Thanks for breaking down some of the basics. I always forget about deductions! This is such an important post. As bloggers, there are so many things that we can deduct and it is important to keep all our receipts. Thanks for the reminder. Taxes differs from one country to another country. I need to learn more about the regulations that is applicable to me. that’s nice! 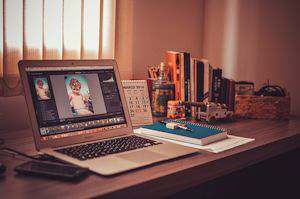 never thought about blog and tax! this is a great information! Tax time makes me cringe as well. I have already added up all of my paperwork, I just need to put it all in the form lol! One step at a time. What a relevant subject! I am terrible about keeping my receipts. I need to bookmark this for later.